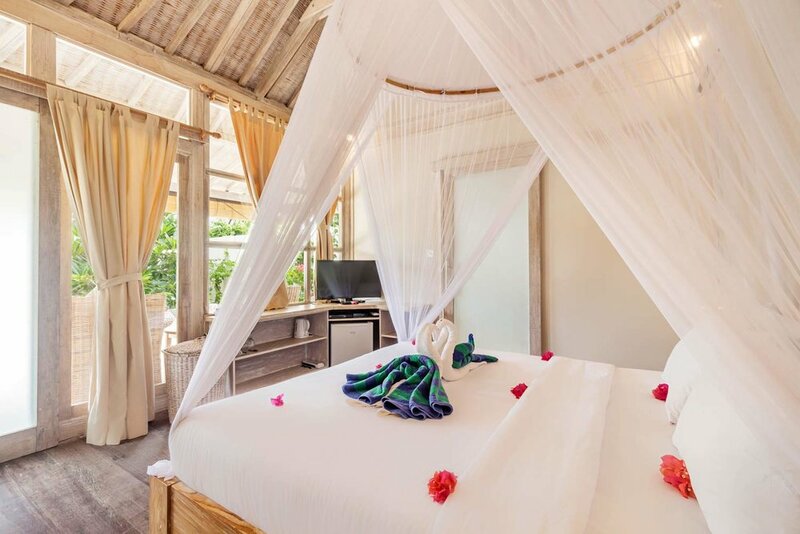 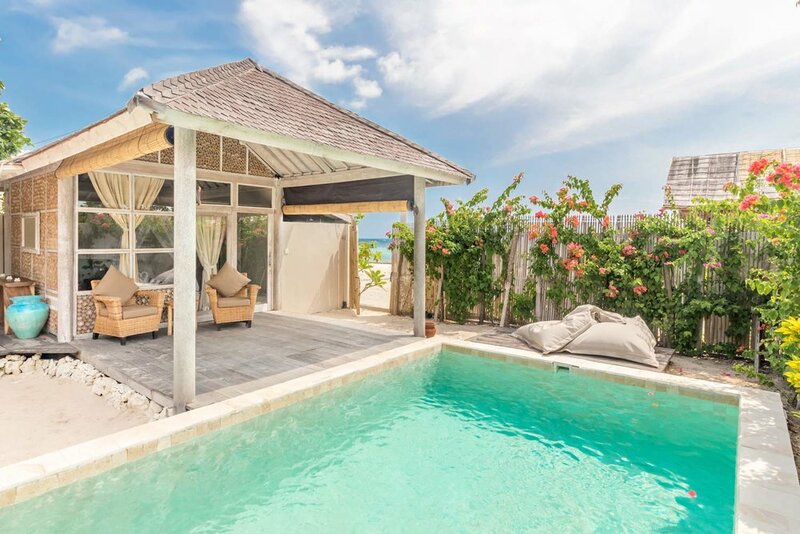 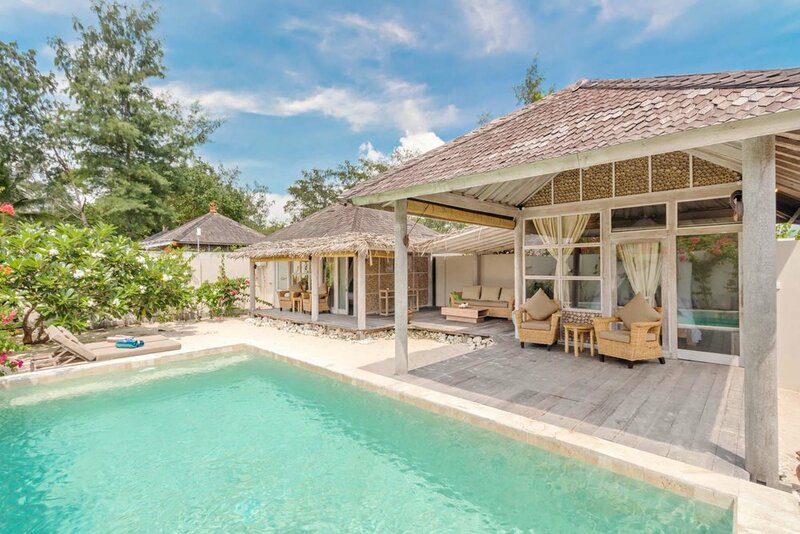 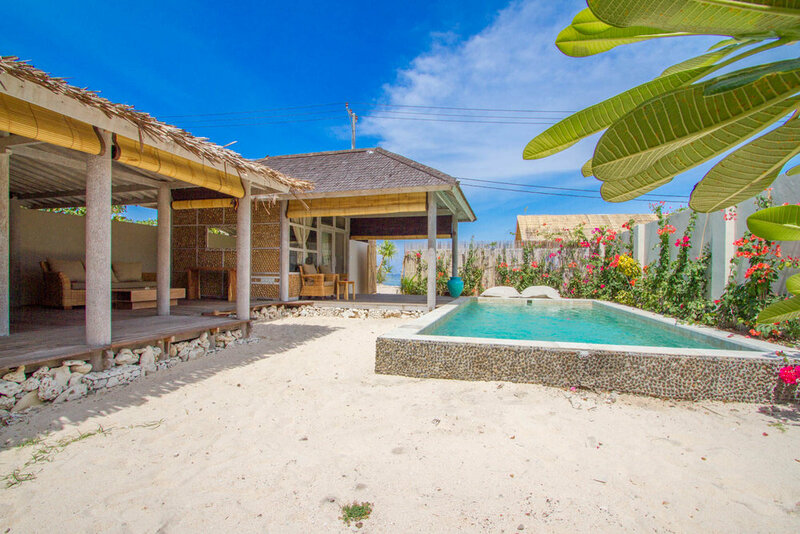 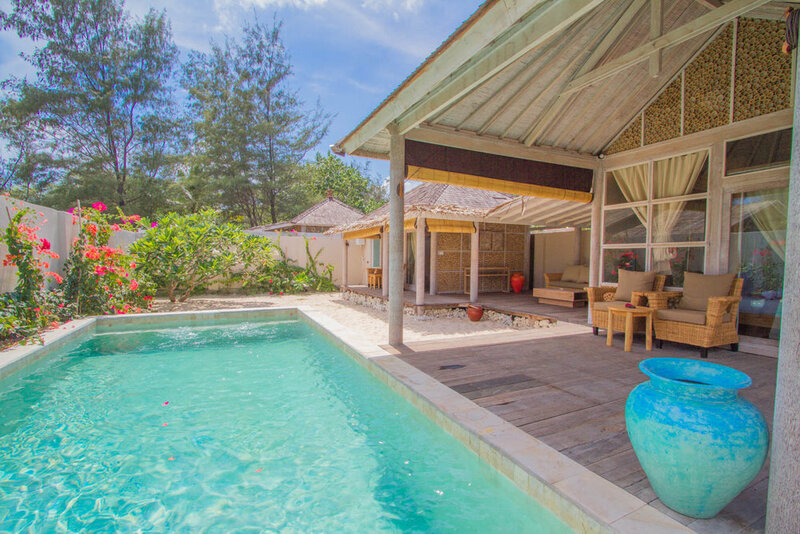 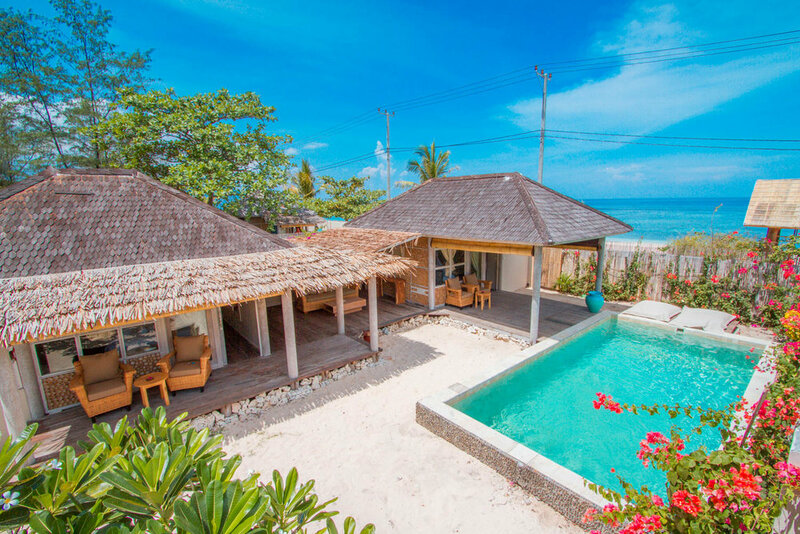 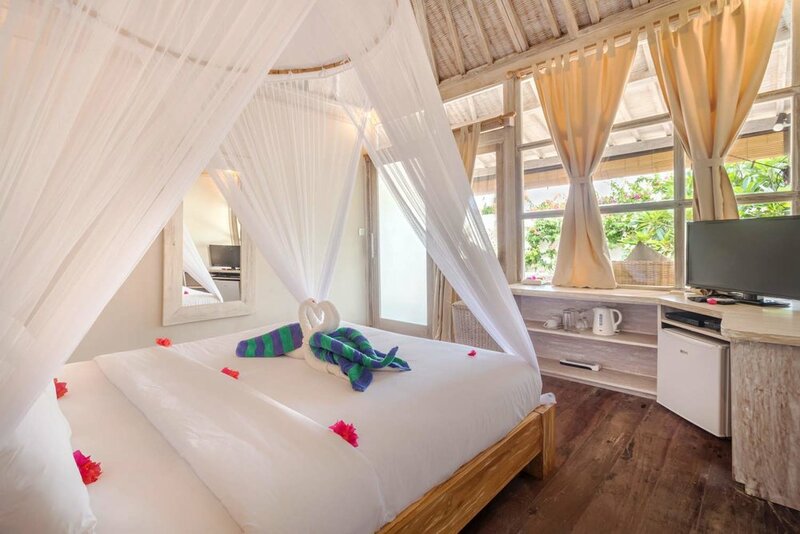 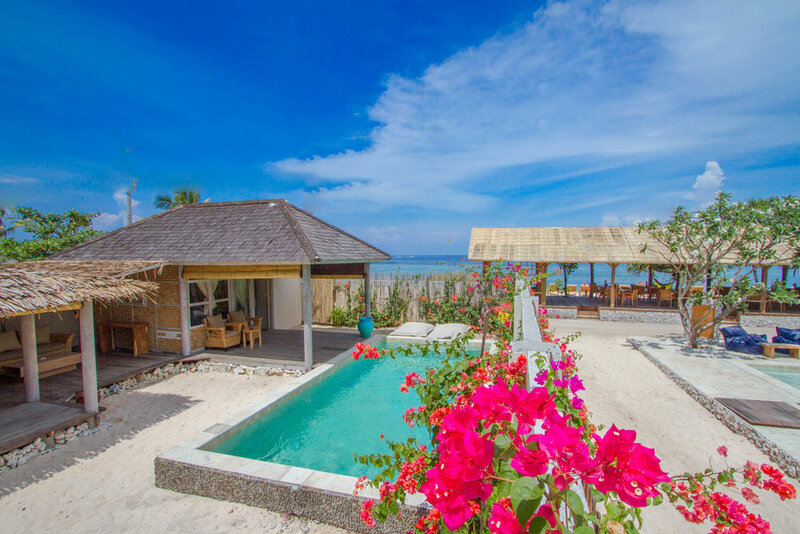 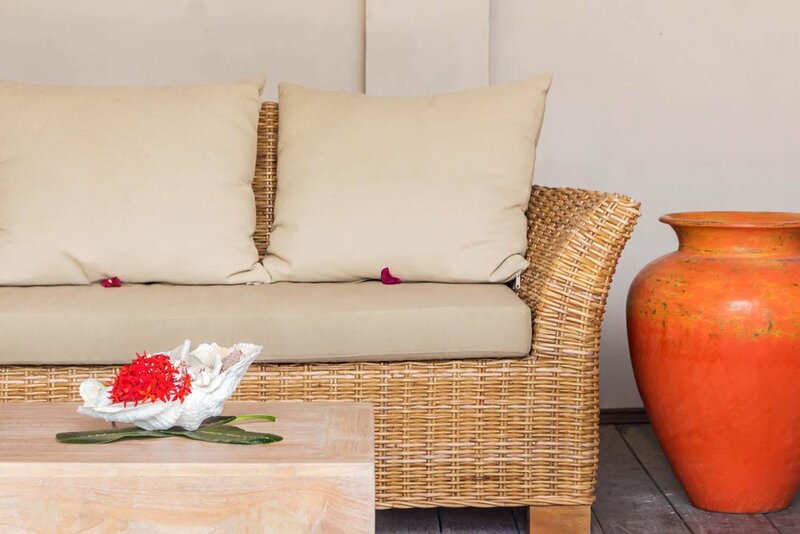 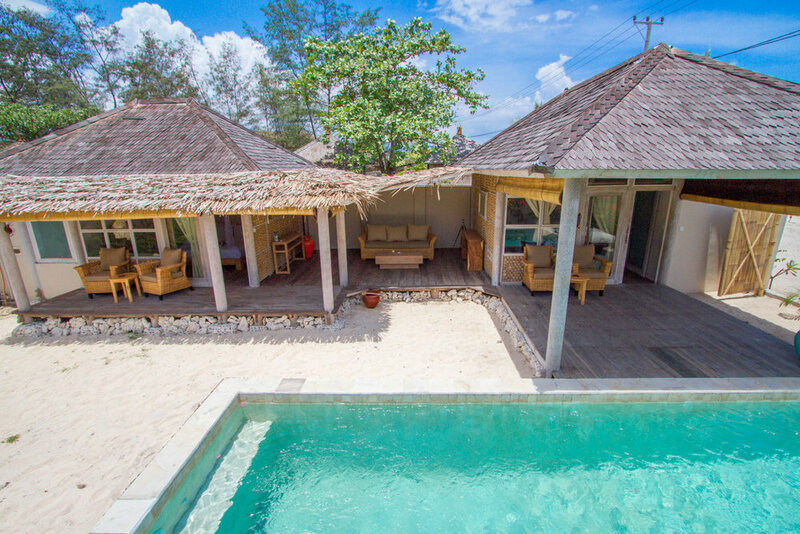 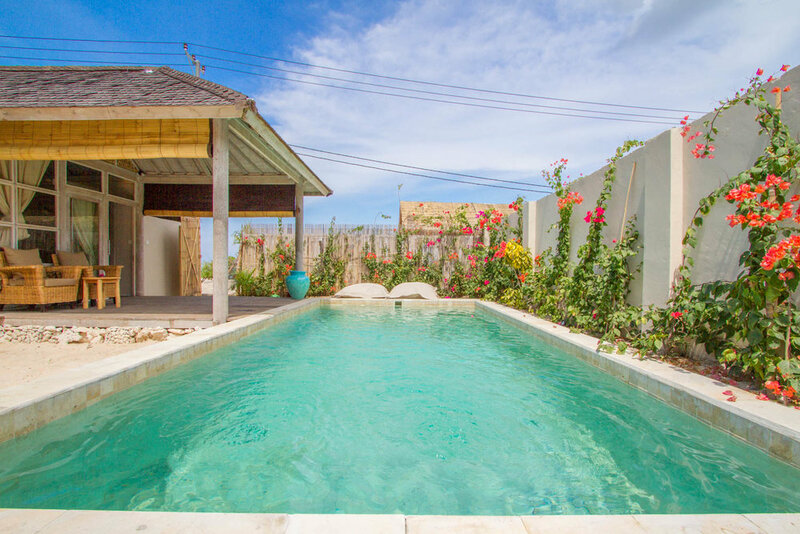 The two bedroom villa has everything you need to have a perfect holiday on Nusa Ceningan. 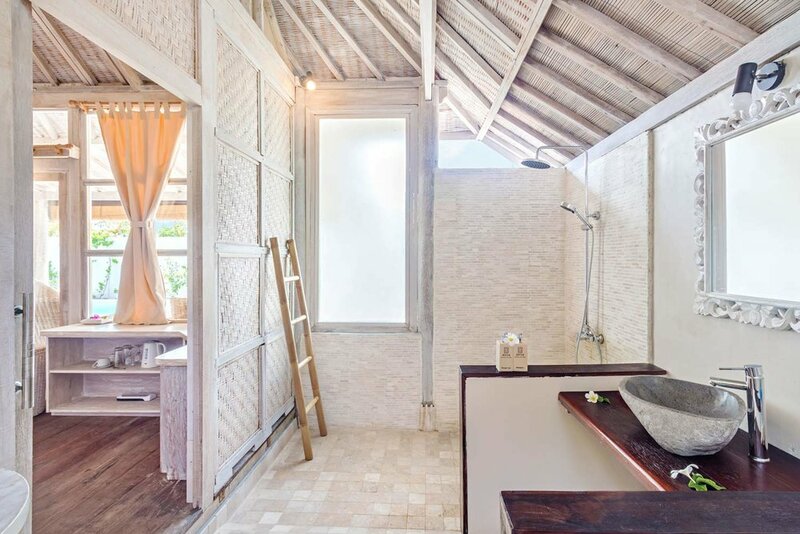 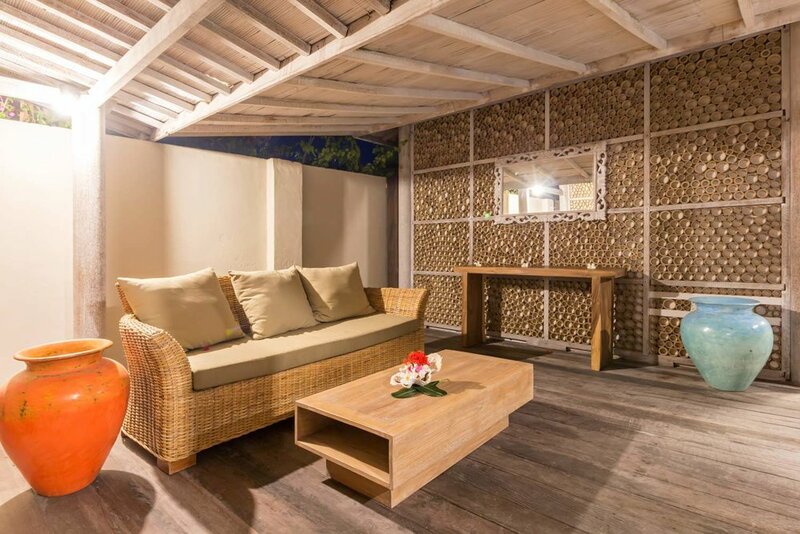 The design is inspired by the traditional Balinese building with a touch of Asian elements by the heavy use of tropical plants in the garden, wooden structure, and bamboo pieces. 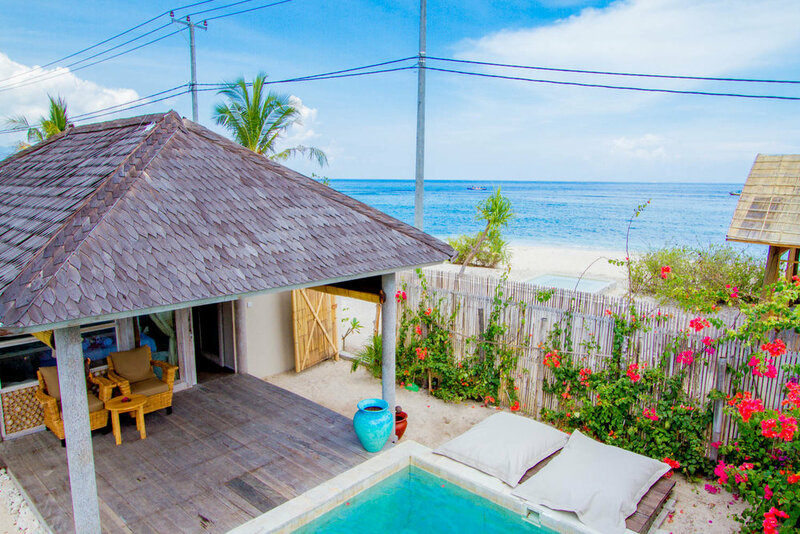 With more than 200 square meters space and a shared living area, spacious lap pool and outdoor Balinese style Gazebo, this two bedroom villa is perfect for family and friends to fully enjoy this tropical island, sitting under the electric fan and gazing into the star at night. 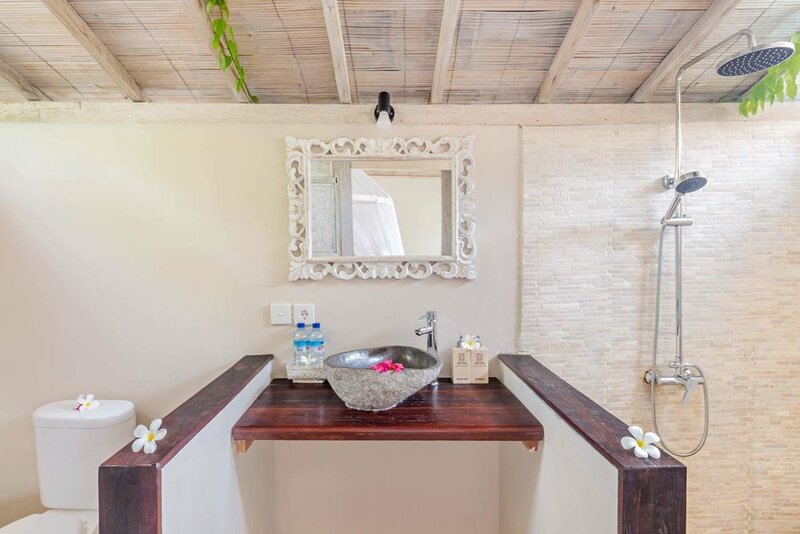 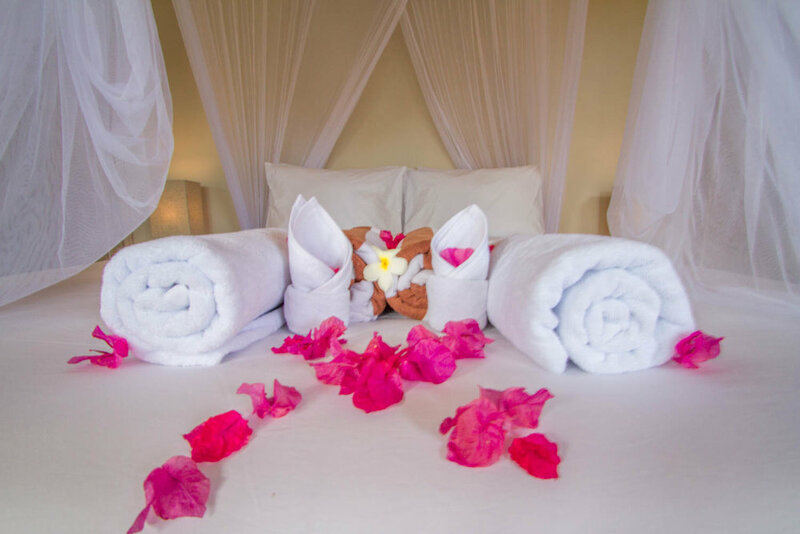 The room has all the modern equipment you need including a flatscreen TV, kettle, minibar, bathrobe, slippers, a walk-in closet and a spacious outdoor bathroom with rainforest shower. 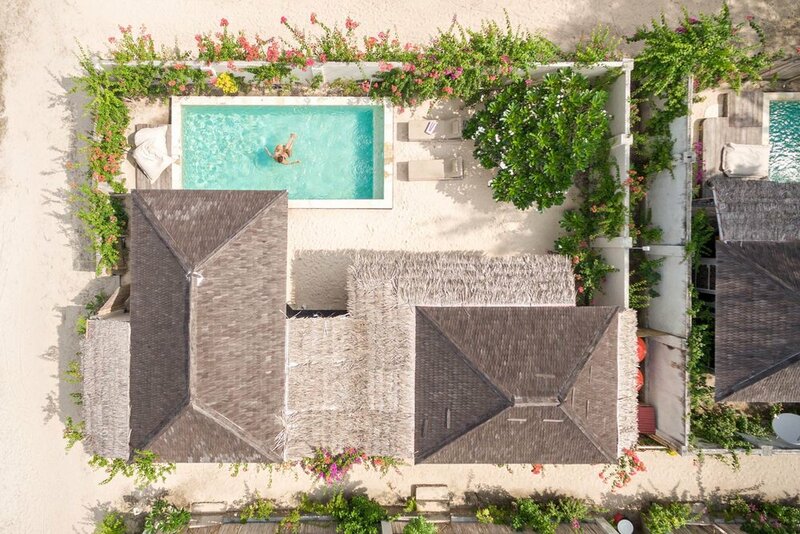 You will be only few meters walk from one of the best beach of the island and you get include in the night rates a free bicycle rental.